Is it hot in here? Or is it these wildly anticipated summer blockbusters?!? Once again, there are several franchise reboots in 2015, as well as sequels and beloved actors coming back to a big screen near you. These include the return of Earth's Mightiest Heroes and the Fantastic Four, Schwarzenegger's back, as are Tom Cruise and George Clooney. There's no shortage of action adventure, drama, comedy and animated films this summer. In short, the studios have lined up something for every single moviegoer out there; from superheroes to male-strippers. 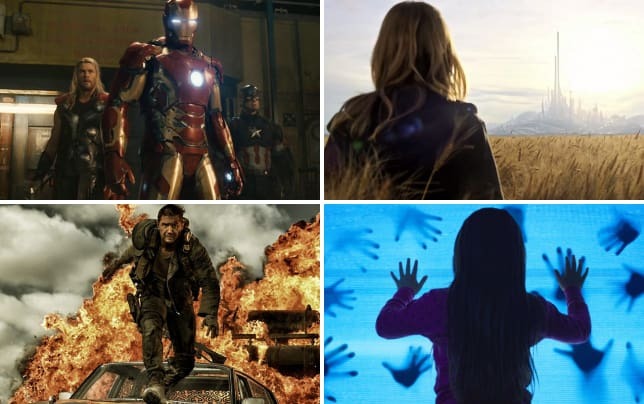 Click through our slideshow to learn more about 17 of the most highly anticipated movies of the summer. It's going to be an amazing time at the movies, Fanatics. What are some of the flicks you're most looking forward to? Make sure to share your list with us in the comment section below. We look forward to hearing from you!